In this July 21, 2000, file photograph, clouds roll in over the original Mile High Stadium from the main concourse of the new stadium being built within a stone’s throw of the venerable field in Denver. Denver defeats Oakland 27-24 in the final Monday Night Football game at Mile High Stadium on a 41-yard field goal by Jason Elam as time expired. 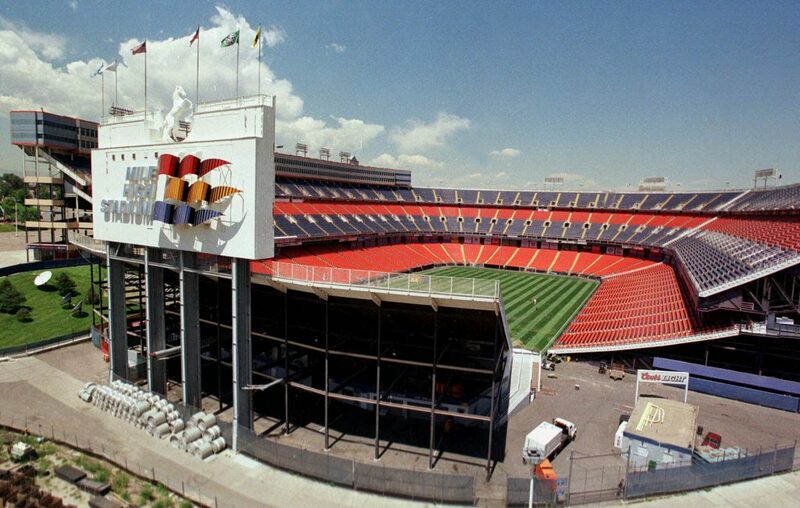 Overall, the Broncos were 15-6-1 in the 22 Monday night games played at Mile High from 1973-2000.